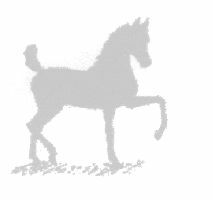 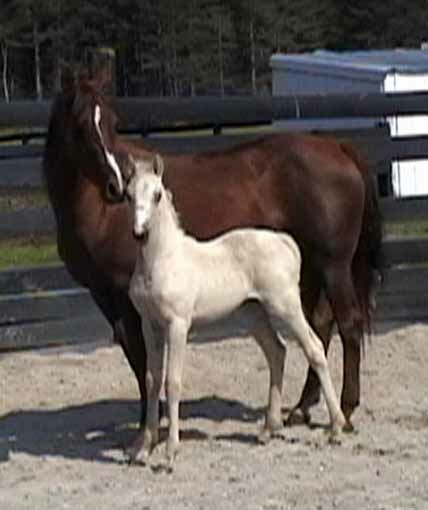 Brooke, our beautiful Pleasure Driving and In Hand mare has surely blessed us with an outstanding foal this spring! 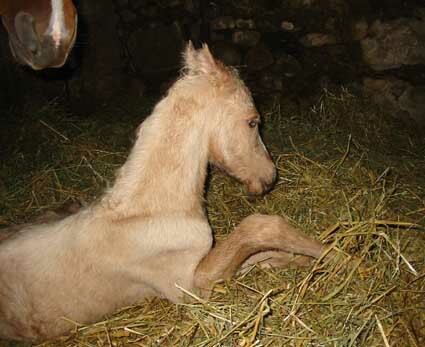 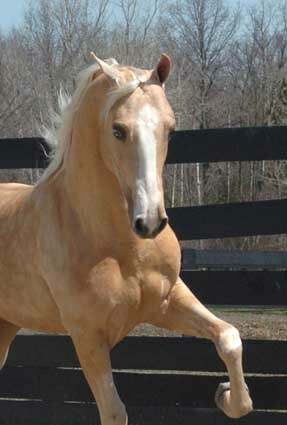 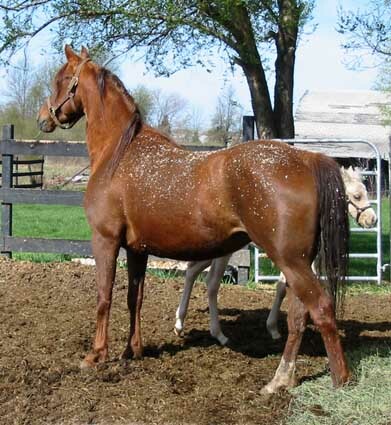 Both the sire and dam of this big, leggy, palomino filly are beautiful and athletically gifted. 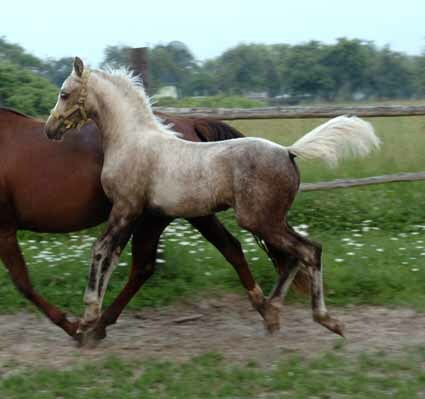 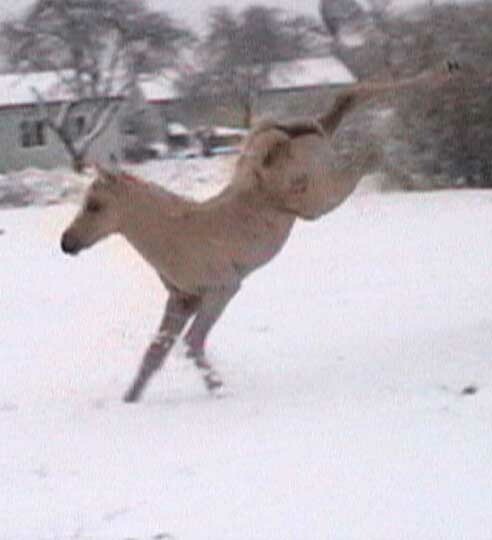 We bred for motion, motor, and conformation with "Sassy", and it looks like that's exactly what we got. 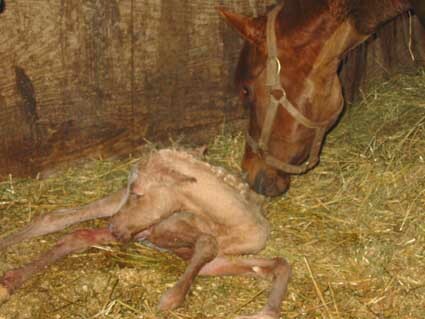 This filly was up and running circles around her dam while the dam was still down and recovering from her delivery. 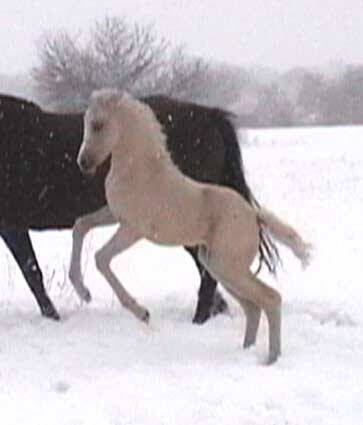 What a motor this fancy filly has! 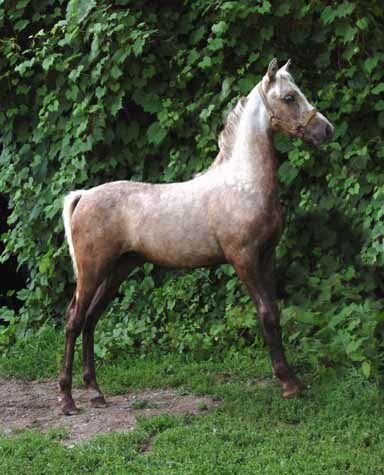 She has a nice length of neck a wonderfully laid-back shoulder and length of hip. 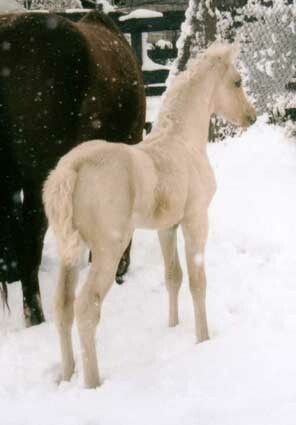 Both parents have outstanding hock movement and it appears this filly does as well. 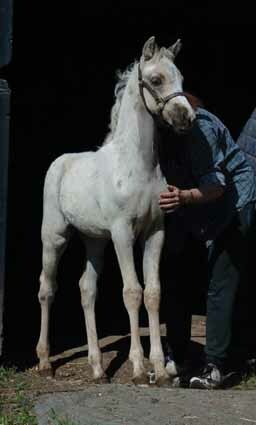 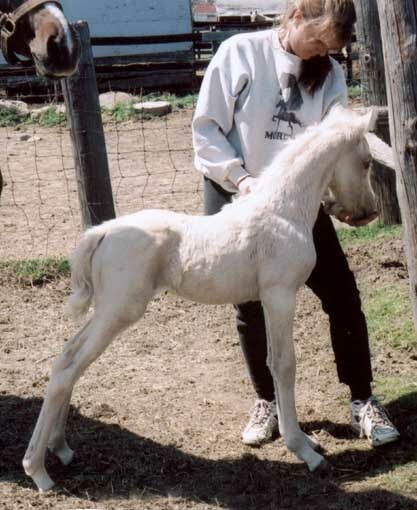 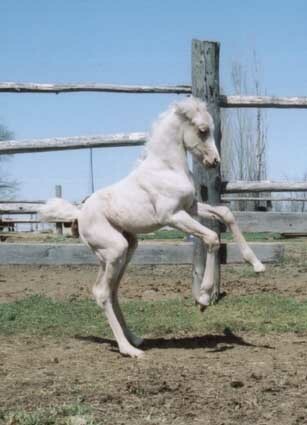 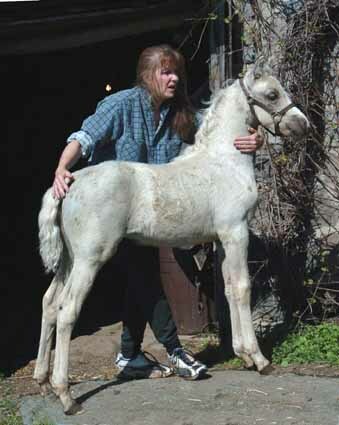 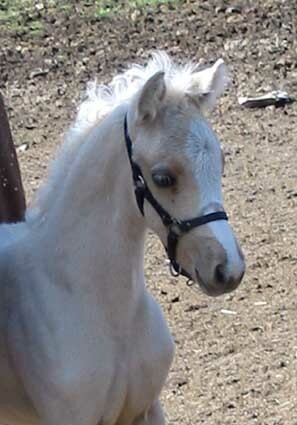 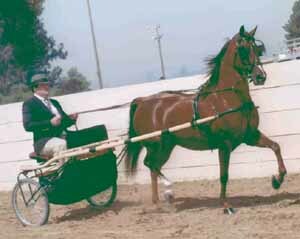 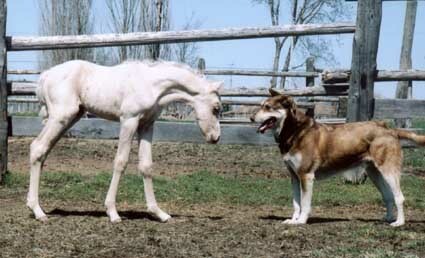 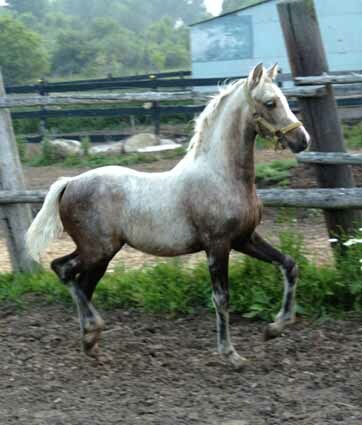 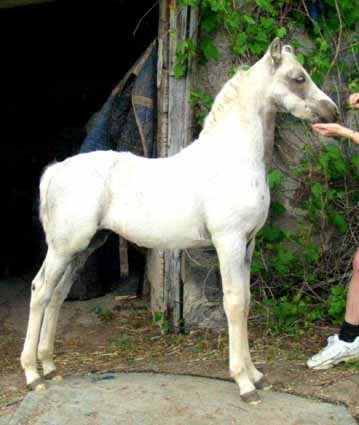 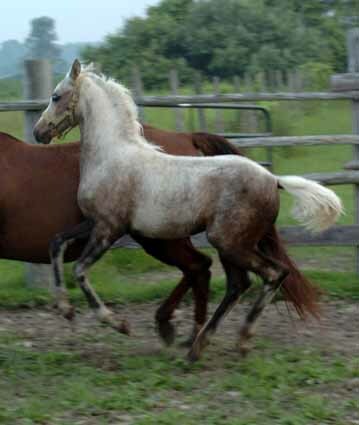 There will be very few of Ancan True Color foals available in 2005. 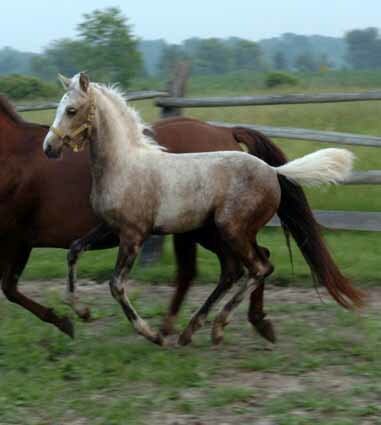 Sassy has the parents, the blood, the conformation and motor to be outstanding regardless of color. 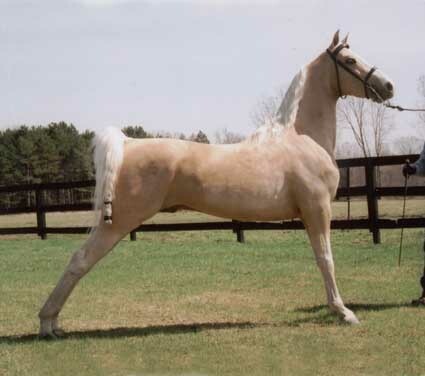 However, since we had the good fortune of getting a palomino, it makes her even more valuable on the show and breeding market. 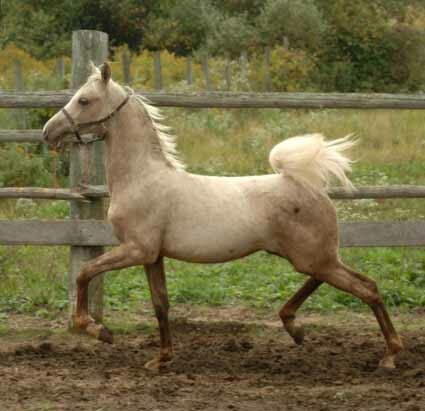 She is a great opportunity to re-coup your investment substantially. 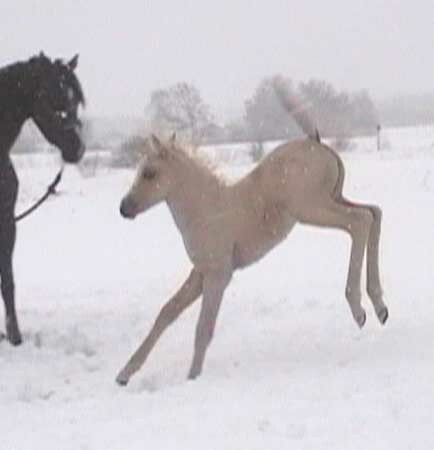 Who says this filly doesn't have motor?! 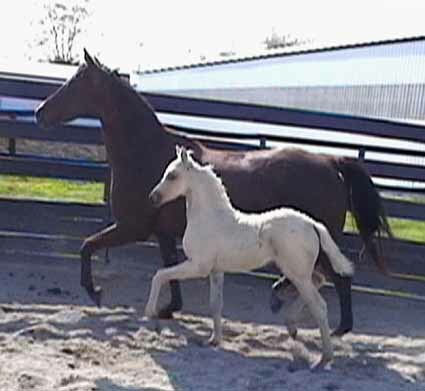 Photos at 2 weeks.